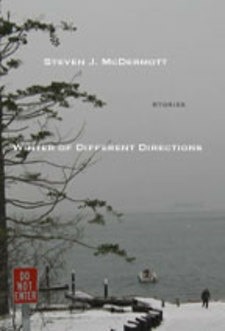 The characters in Steven J. McDermott's short story collection Winter of Different Directions struggle to keep life's body blows and uppercuts from becoming knockout punches, whether they bring them on themselves, or receive them from friends, lovers, co-workers, or family. You might root for them. You might root against them. But just like the relatives you hope won't show for Thanksgiving, these are characters you can't forget. With his stunning range and passionate delivery, it is McDermott who delivers the knockout punch in this debut collection of twenty short stories. We will send Winter of Different Directions to your Kindle at . Winter of Different Directions has been sent successfully to your Kindle!